Will you be brave enough to delve into the Hill and face its many dangers? Gather equipment, hire Recruits and Companions with unique abilities to help you on your adventure. 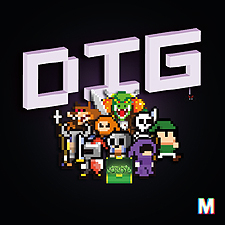 Collect ten Gems before the other diggers do so and become the King of the Hill.